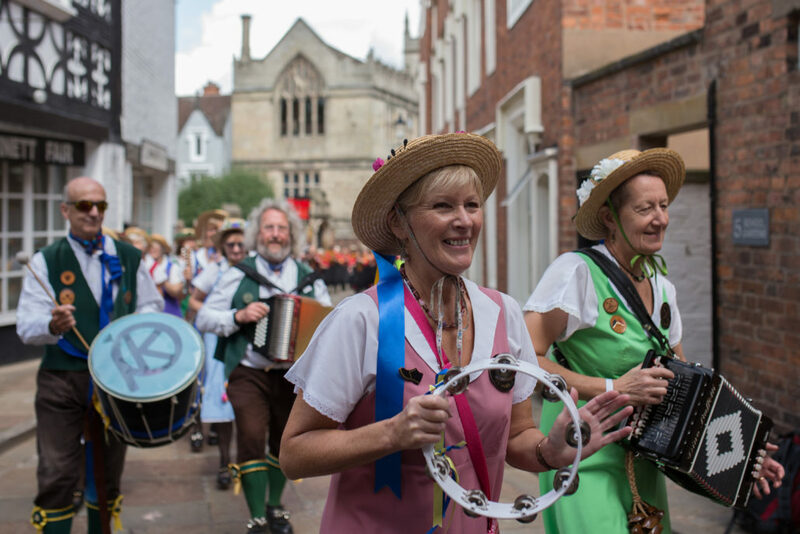 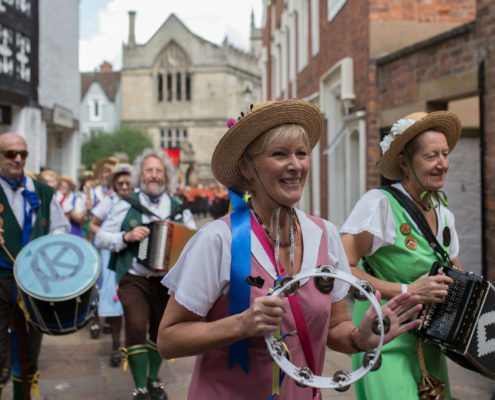 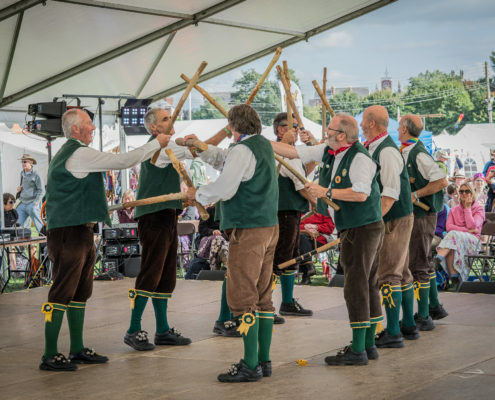 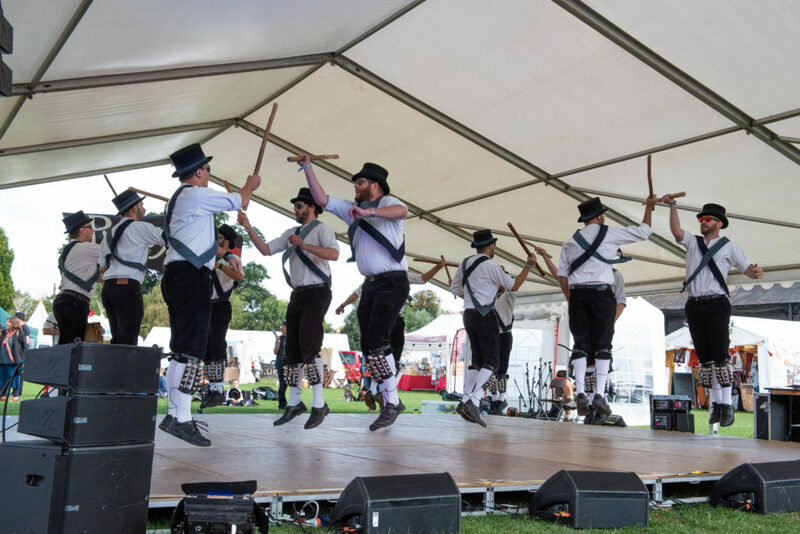 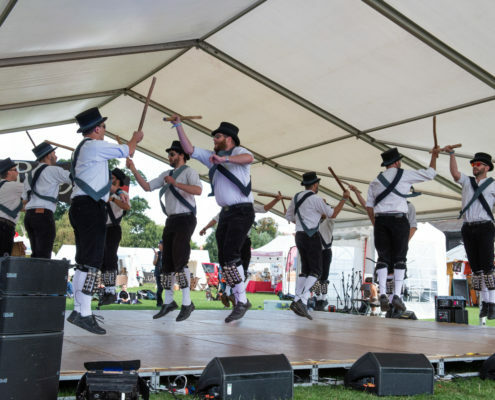 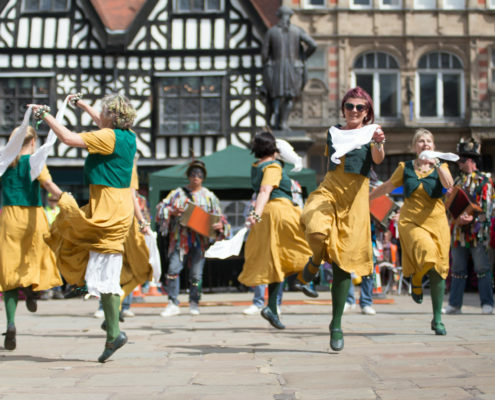 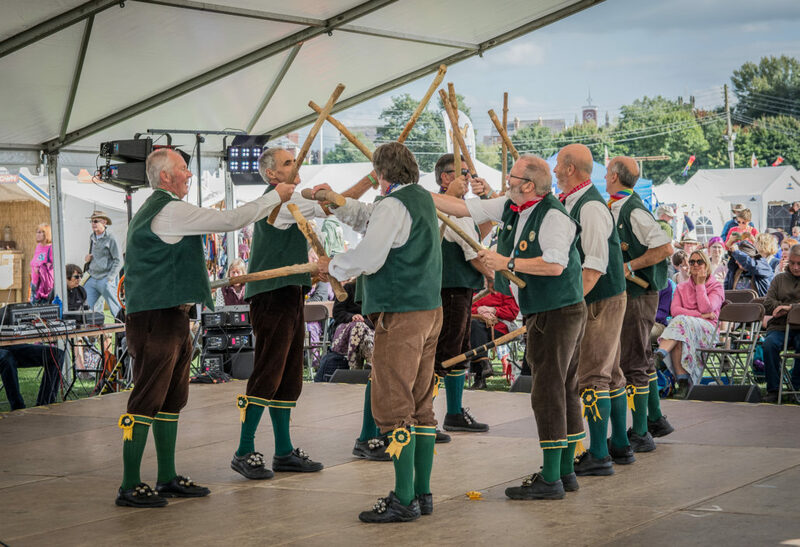 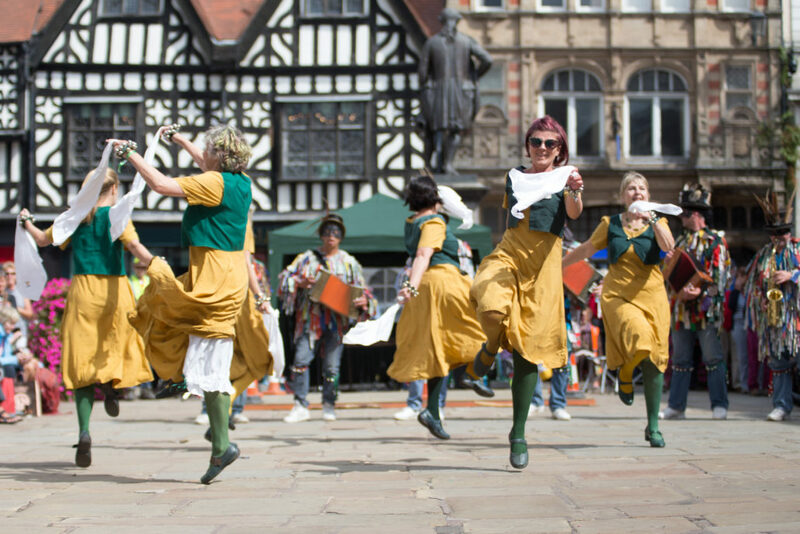 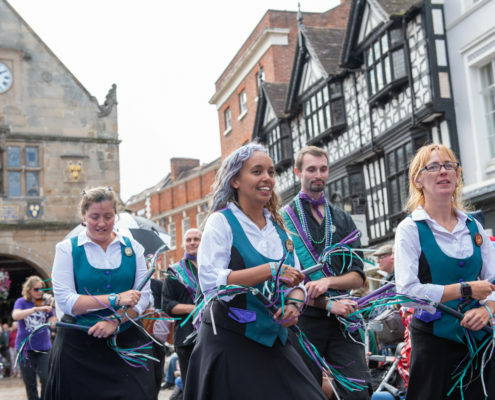 We have a strong tradition of Morris and Rapper dancing at Shrewsbury and have proudly welcomed teams from home and abroad over the years. 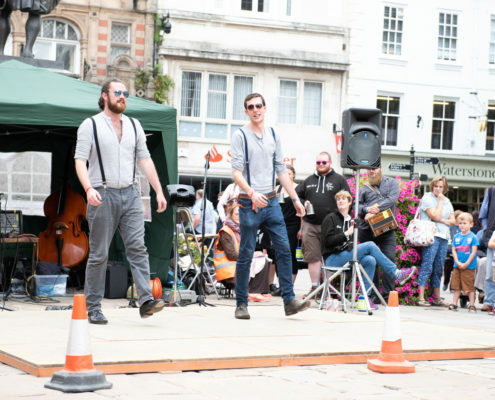 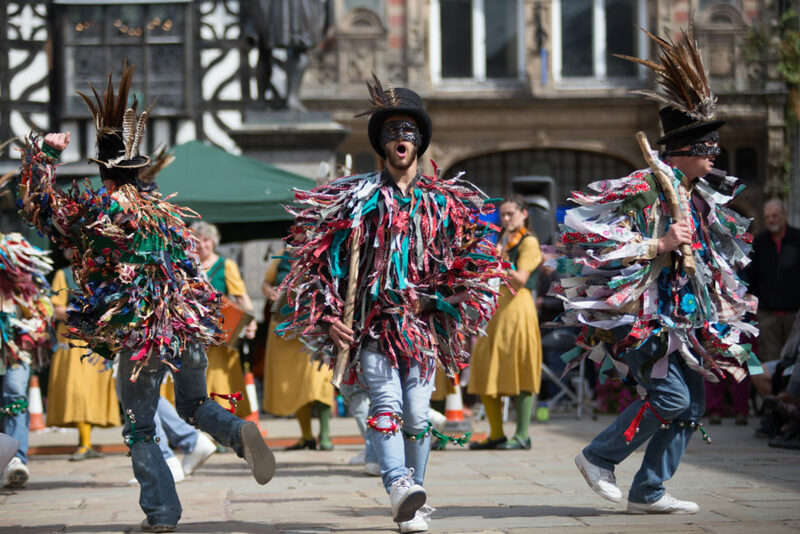 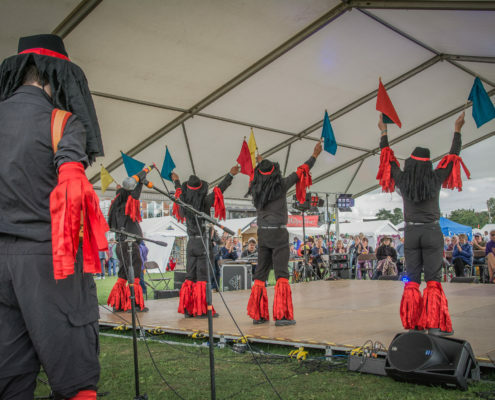 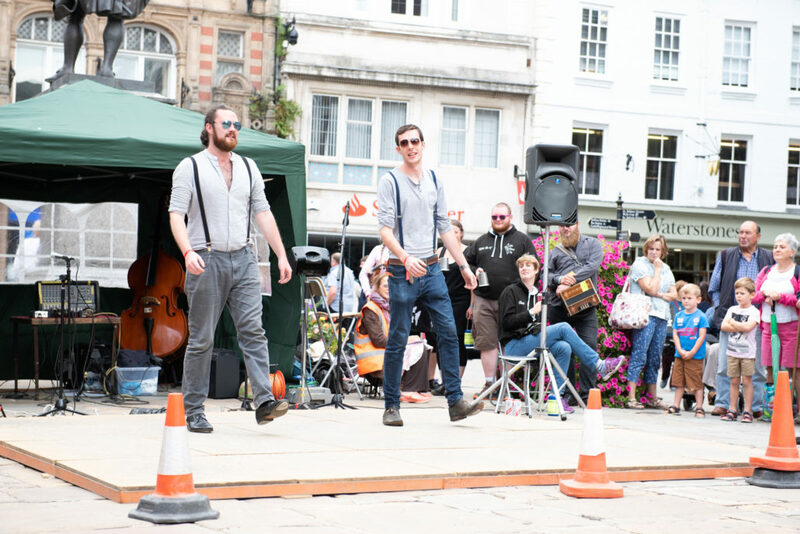 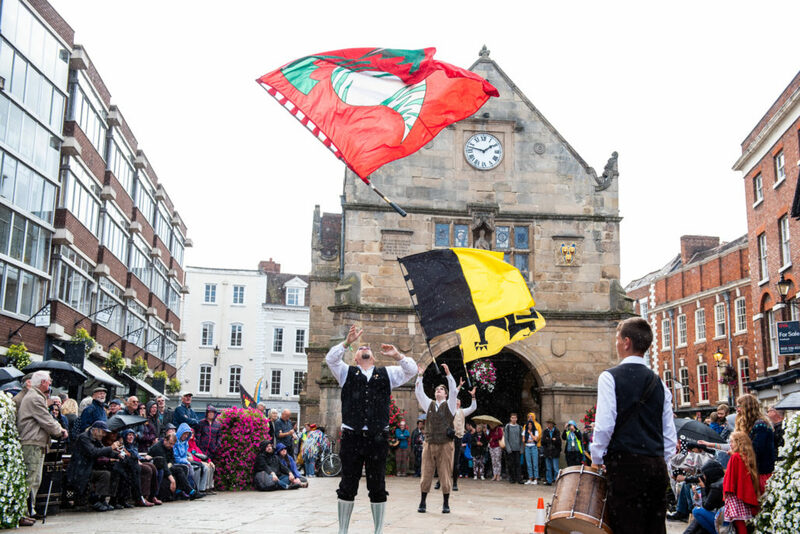 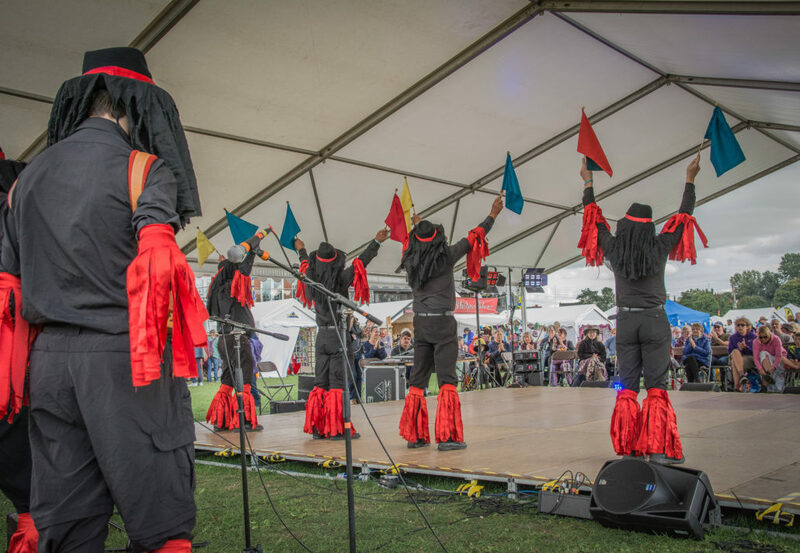 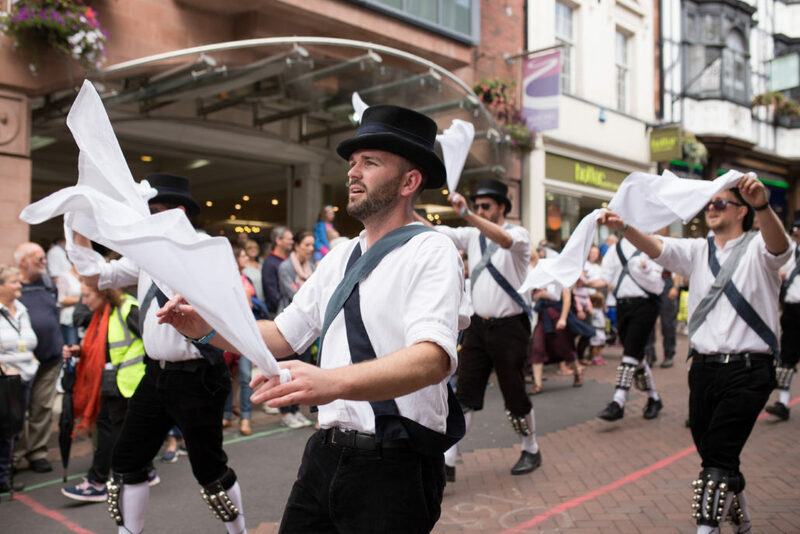 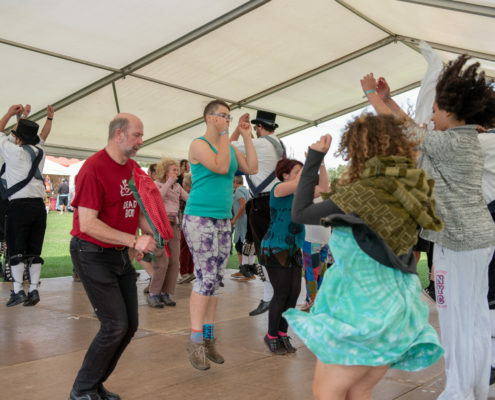 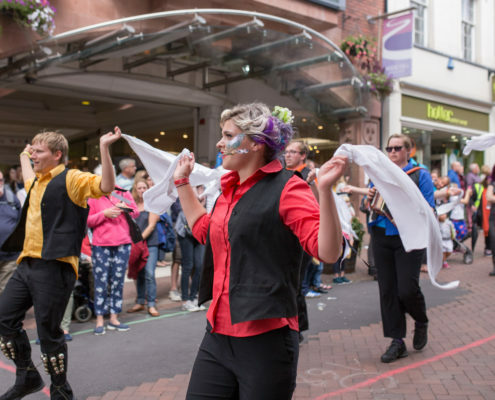 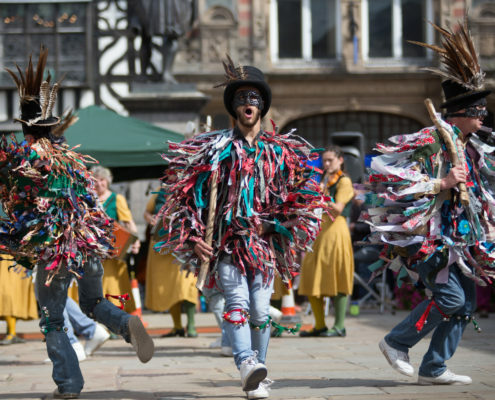 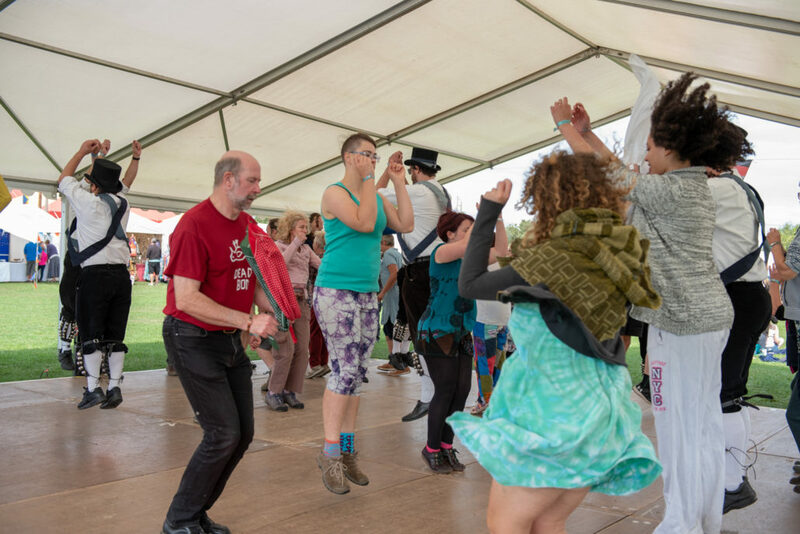 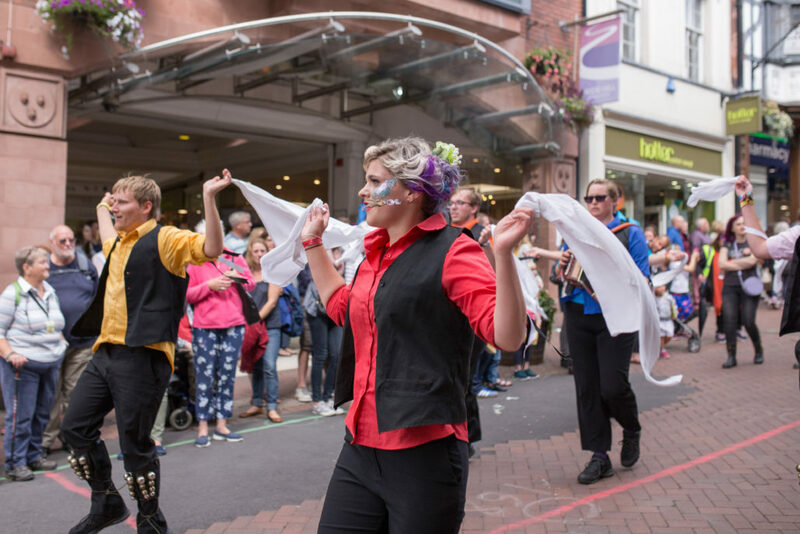 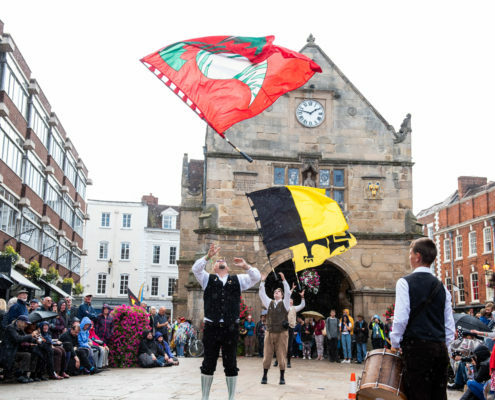 They are a vital part of the event, bringing colour and an extra dimension to the festival, where they perform around the site and in the town centre. 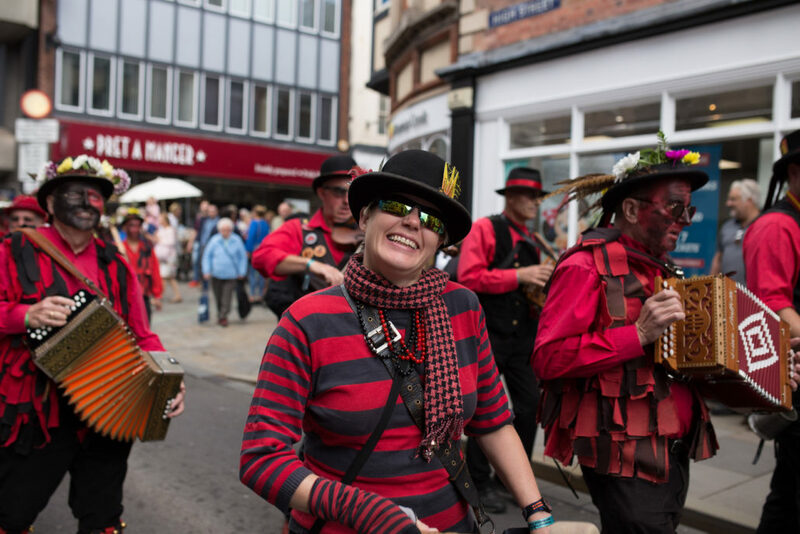 Beware where you decide to go for a refreshing drink as you never know which town centre hostelry the rapper sides will turn up in! 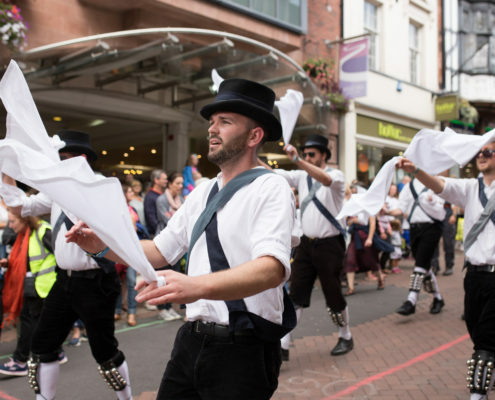 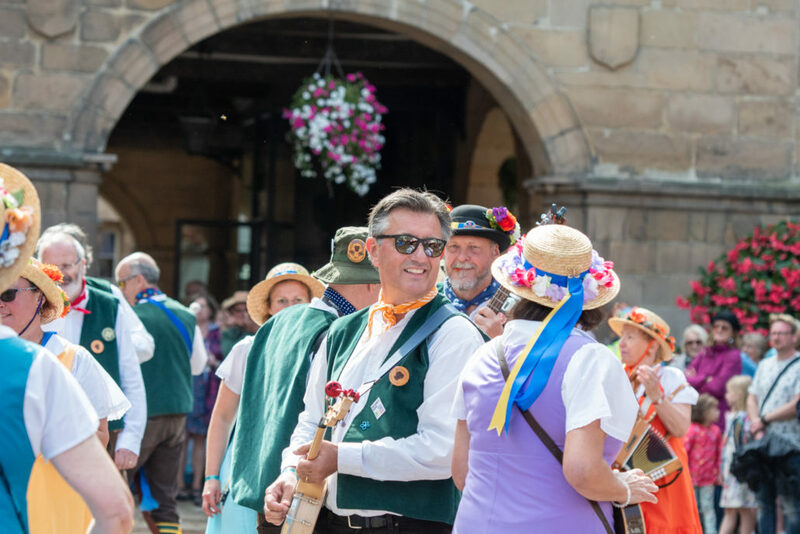 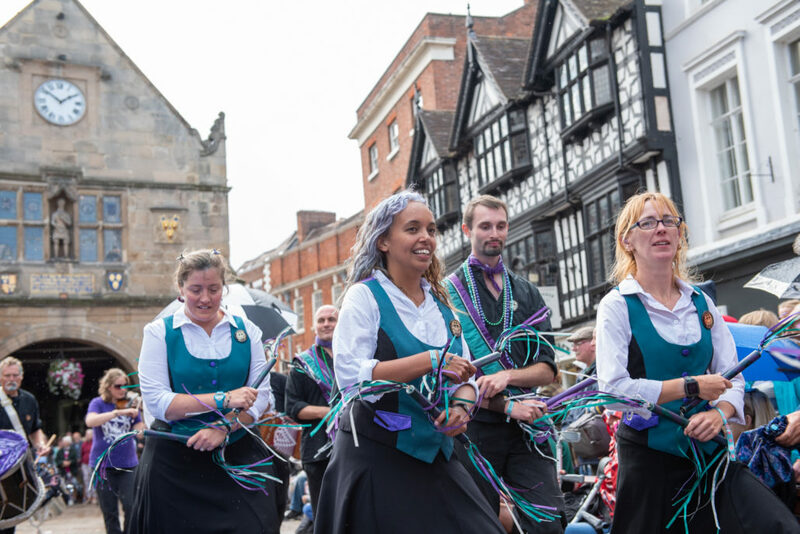 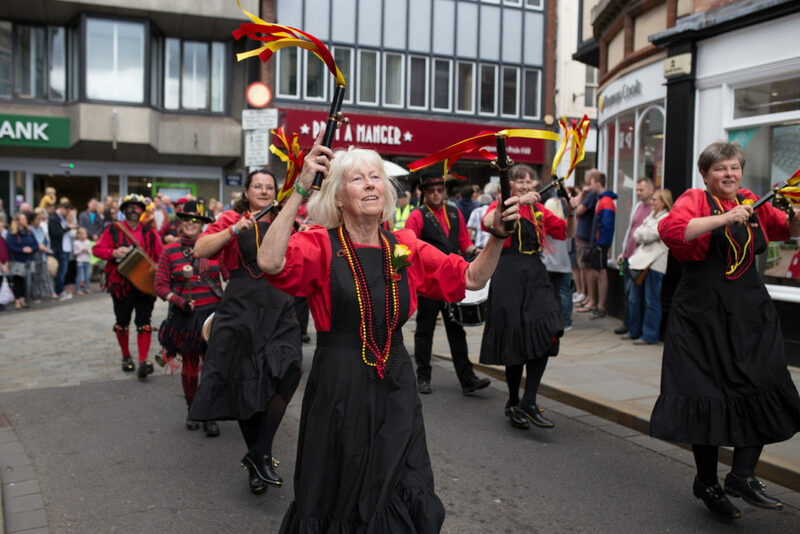 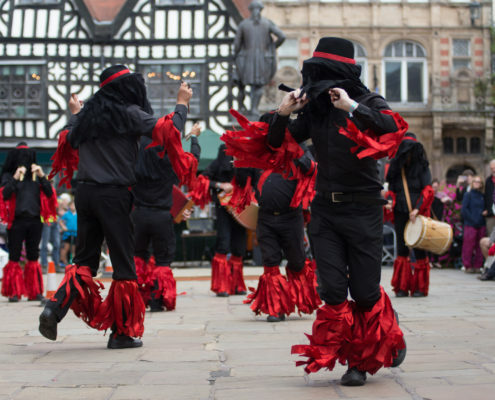 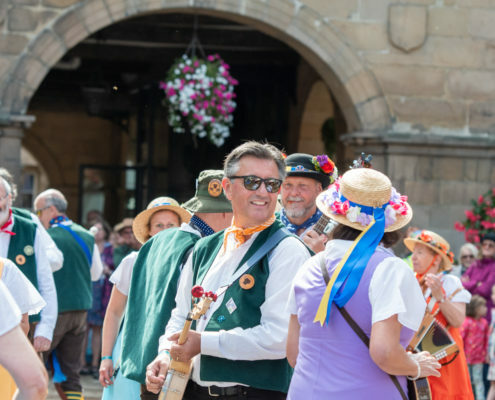 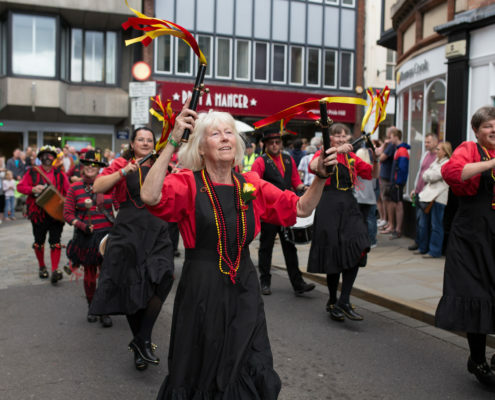 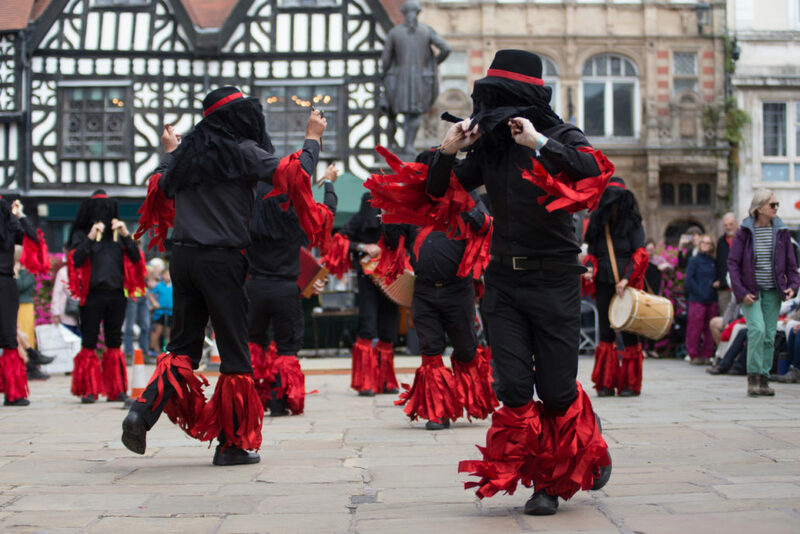 As well as the on-site procession, we have a parade through the town centre, taking dance to the people of Shrewsbury, on the Saturday afternoon, usually led by the Mayor of Shrewsbury. 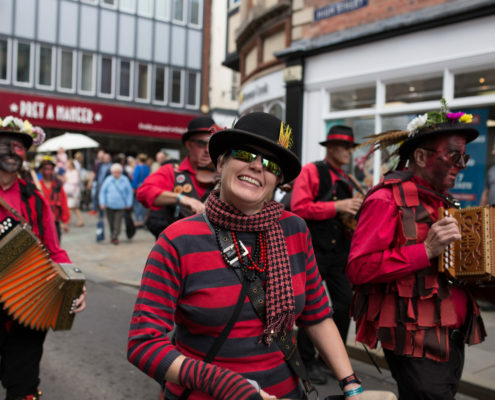 Shop assistants and people in the town usually get a few surprises!